As we all know, keeping track of your finances and your spending habits is important, not only for people running a business but also for individuals who earn and spend on a daily basis. Nowadays, although there are many reasons why keeping track of your finances is essential, most people don’t bother doing it or find it too tedious. One of the most important aspects that you should focus on when keeping track of your finances are the expenses that you have. Properly recording how much you spend on a daily, weekly, or monthly budget sheets basis will help you save a lot of money, as well as understand where your money is going to. How exactly can you do this? Although it may sound intimidating, it’s actually pretty simple. 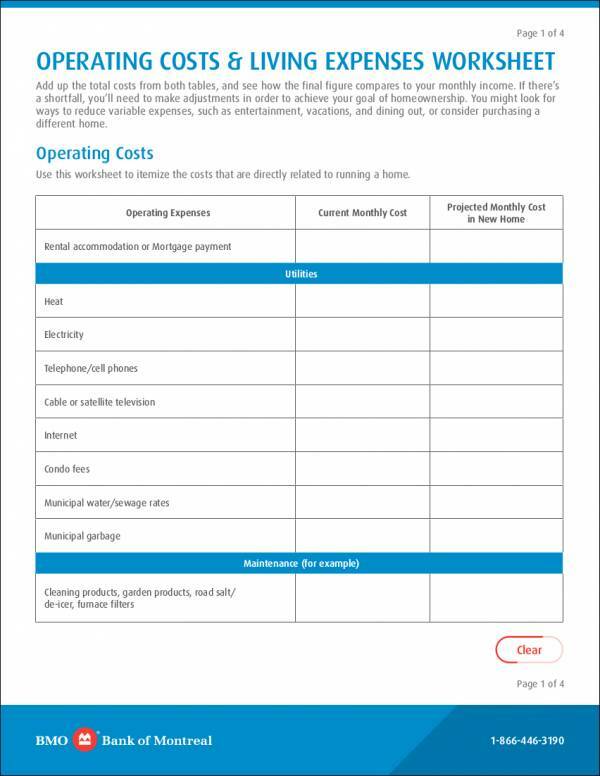 One of the most important tools or documents that you can use to help you track your expenses is an expense worksheet. 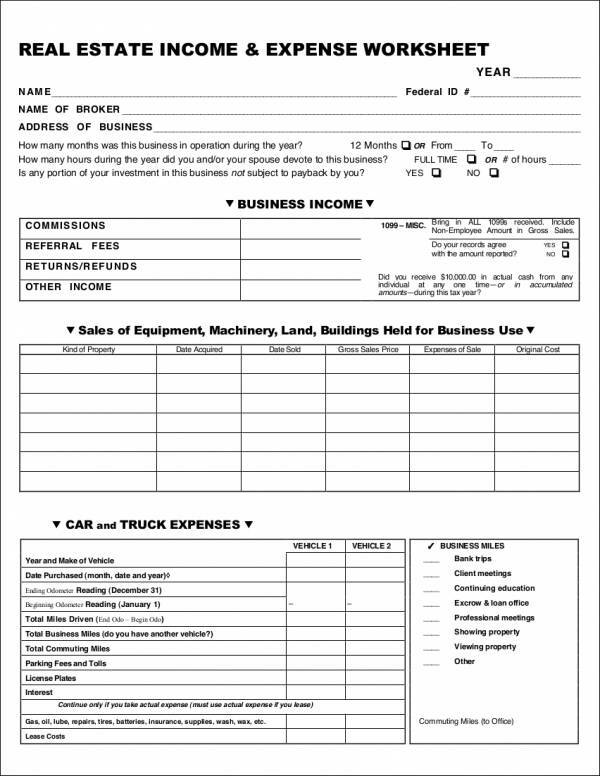 An expense worksheet is a document that allows you to outline your expenses for a particular period of time. Your expenses list include the items that you purchase, the billing statements that you need to pay, and other expenditures that you may have. 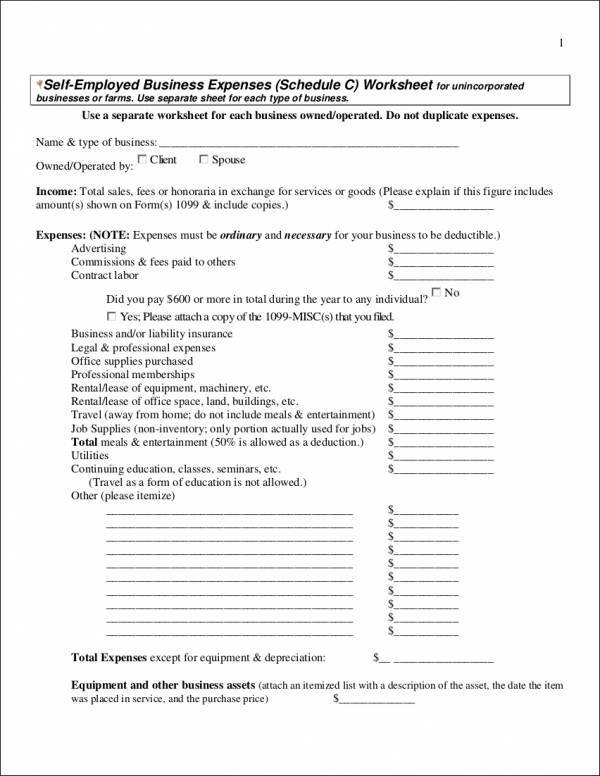 To help you create your expense worksheet, we have provided some samples as well as templates of expense worksheets that you can use if you need a guide when formatting or outlining your document. We will also be discussing more of the importance of keeping track of your expenses through an expense sheet, the steps to help you create an effective and usable expense worksheet, the types of expenses that you may have, and so on. To some people, the creation of an expense worksheet may be unnecessary and time-consuming, but having a written document that you can use to outline all the important details of your expenditures can provide a lot of benefits and advantages. There are many reasons why it is important to use an expense worksheet when tracking your expenses. An expense worksheet is important because it allows you to keep track of where your money is going. Through an expense worksheet, you will be able to list down all your expenses, which will help you determine how much you spend on your groceries, bills, transportation, etc. 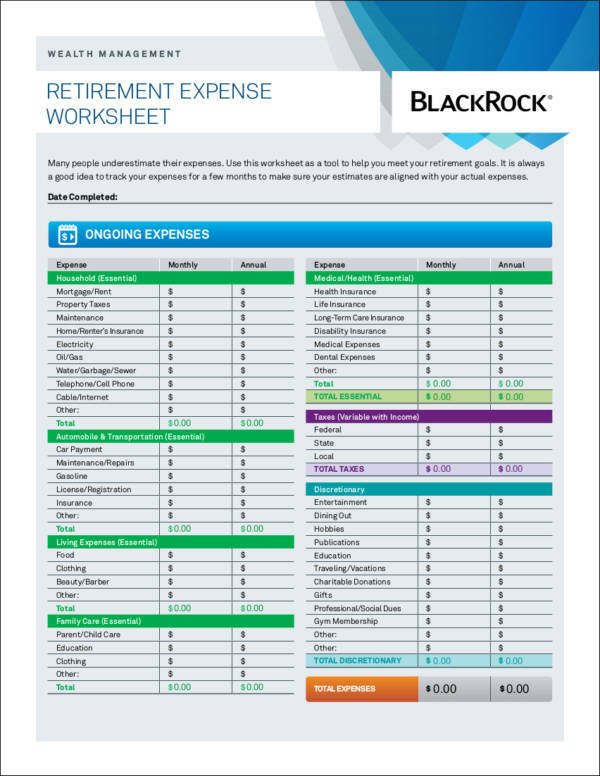 An expense worksheet will allow you to categorize your expenses. This is important for you to be able to separate your needs and your wants. 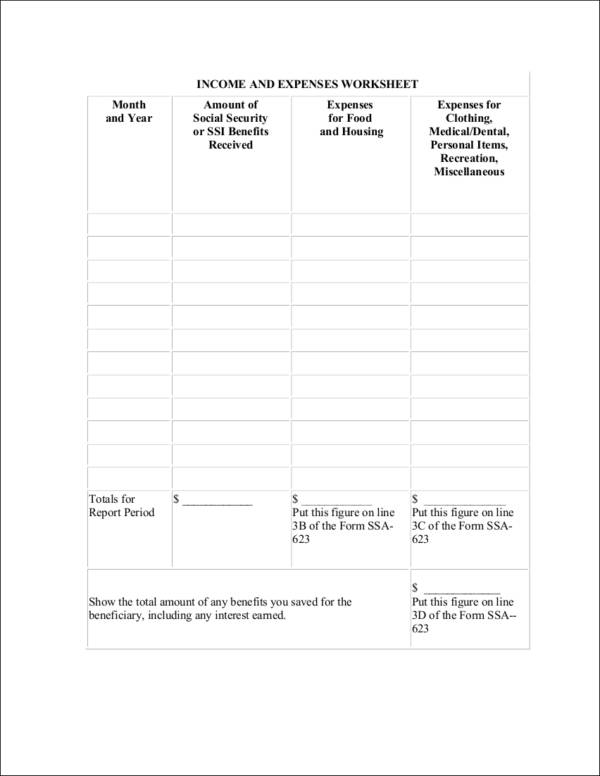 With the help of an expense worksheet, you will be able to prioritize your fixed expense statement such as your monthly utility bill, rental, loan, and so on. This way, you can set aside the amount that you need for your fixed expenses, and other expenditures, as well as save the rest of the money that you have. 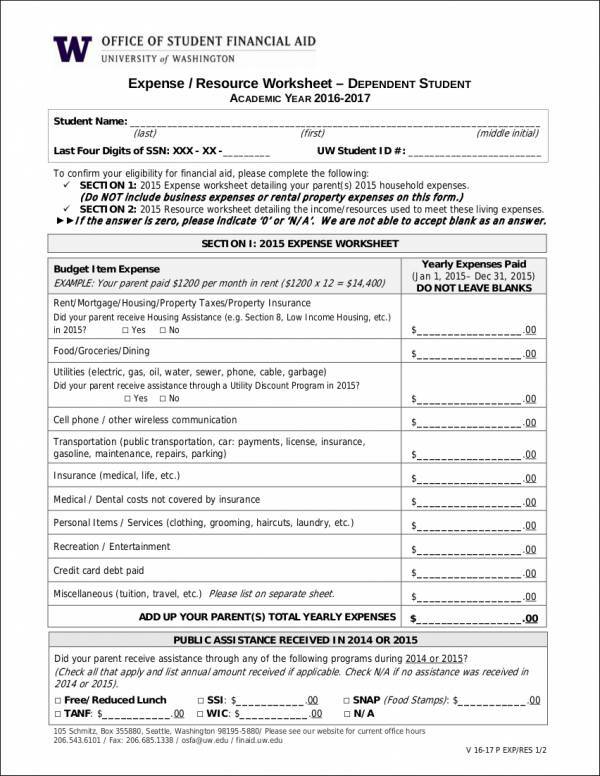 Through an expense worksheet, you will be able to have a complete record of your previous and current expenditures. This will give you a clear understanding of your spending habits, helping you become aware of what you need to change regarding your expenditures. With the information sheet that an expense worksheet can provide, this will make it easier for you to plan your finances for the future. With this, you can ensure that you will be able to achieve your financial goals. 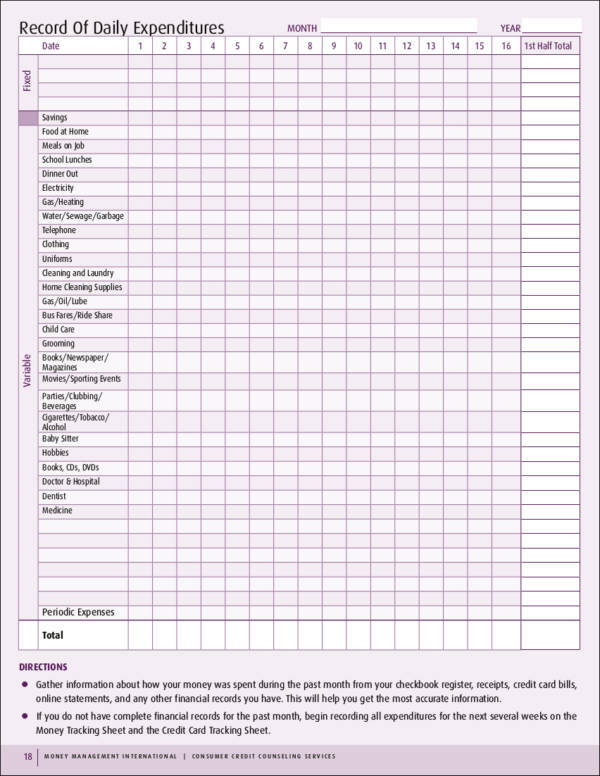 Keeping track of your expenses using an expense worksheet samples is important in order for you to keep into account the money that you earn and the amount that you spend. This will ensure that you will not be spending more than you earn, which will help you avoid having a pile of debts. What Are the Types of Expenses? Fixed expenses refer to a person or business’s financial statement that are fixed no matter how much a business’s revenue or an individual’s earnings. 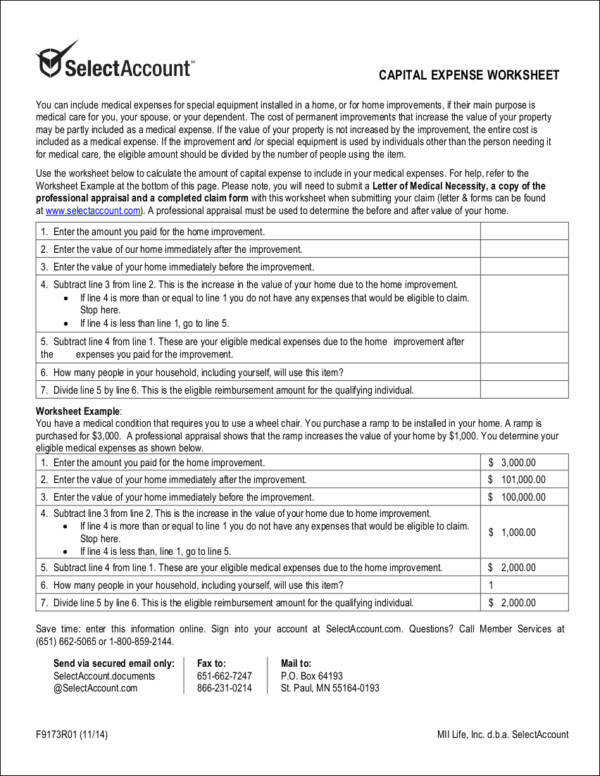 Some examples of fixed expenses include rent, bills, car payments, and so on. Fixed expenses don’t change every month, which means it is easier to budget since you know what to expect. Variable expenses or variable costs is a type of expense report that changes depending on an individual or business’s use of a particular product and/or service. Some examples of a variable expense include your monthly groceries, your gas, and other expenditures that you specifically need a budget for. For example, depending on how often you use your car, there will be an increase in variable expense, for both the maintenance of your vehicle checklist and the gas that you need. Your groceries also vary depending on the products and goods that you purchase. Unlike a fixed expense, variable expenses can change from one period to another. This type of expense refers to the items or the goods and products that you choose to spend on or basically the expenses that you have control over. Discretionary expenses include your entertainment expenses, expenses for recreation, expensive meals, etc. These items listed above the common types of expenses. Now that you understand their differences, ensure that you categorize your expenses when creating your daily, weekly, or monthly budget. The first step that you need to do is to provide a title for the document that you will create. 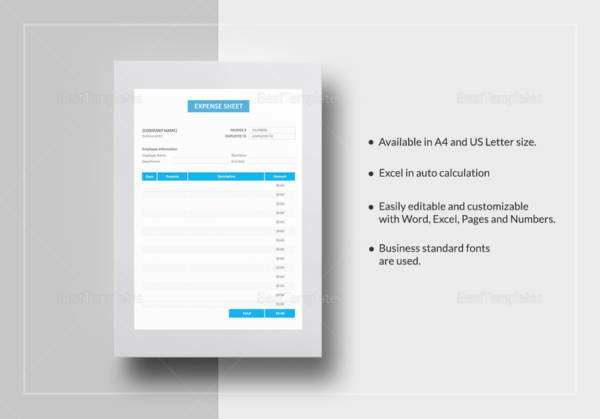 Write the words “Expense Worksheet” at the top of your document. Create an expense category section in the expense worksheet that you will create. This is where you will categorize your expenses based on the type. List down all your expenses from your fixed expenses, variable expenses, and discretionary expenses. It is important that you include all the expense items that you will have weekly or monthly depending on the period/s that your expense worksheet will cover. 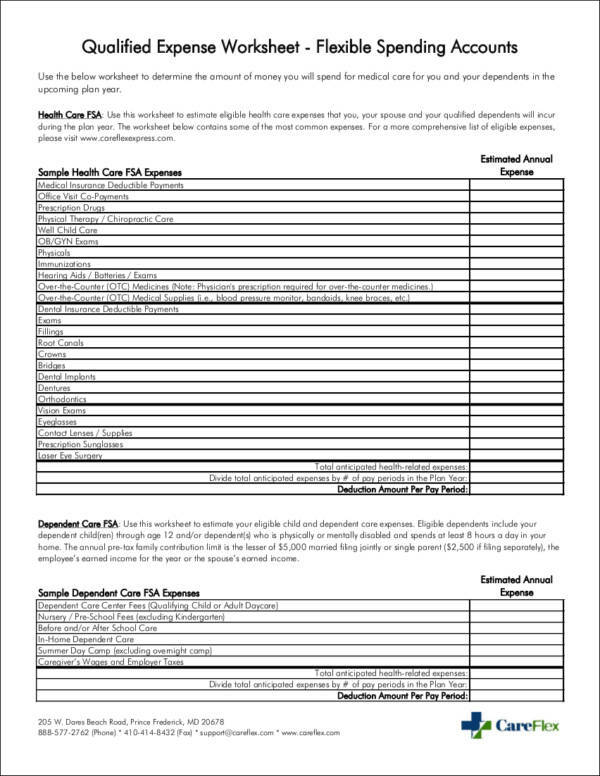 You can also see family budget worksheet. Write down the amount that you have spent for each expense category that you have listed in your expense sheet template. Add up the entire amount that you have spent for that period and provide the total of the items listed. Add up your income or the revenue that you have for that particular month or week and compare the data to the expenses that you have incurred for that time period. With this, you will be able to determine whether you are spending more than what you earn. Using the information, you can make all the necessary adjustments that you need to do when budgeting. You can also see wedding budget worksheets. 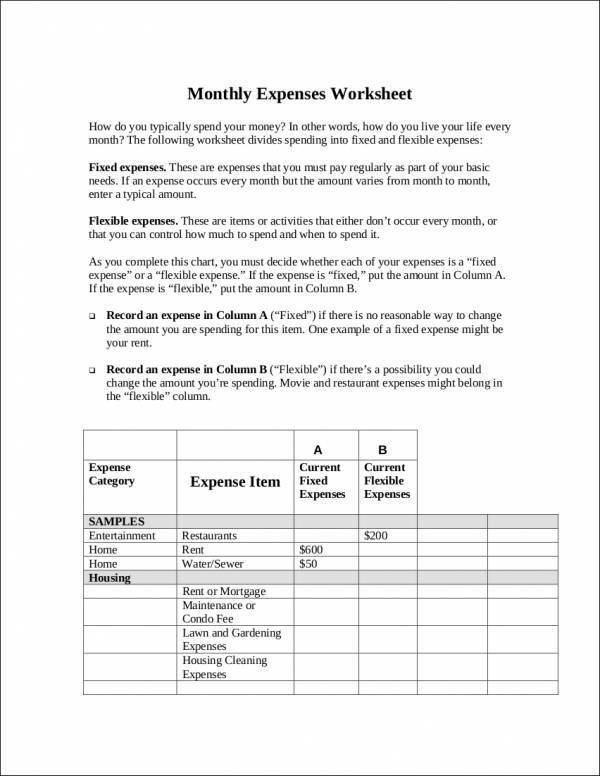 Additionally, the samples and templates that we have provided in this article will be useful as a guide when you create your expense worksheet. You can download the samples that we have provided on this page to ensure that you will have a usable and effective document. Should you need other types of worksheets, you can browse through our selection of various worksheet samples such as a statistics worksheet, time worksheet, or an accounting worksheet.